Is Apple Cider Vinegar Good for Weight Loss? The Internet abounds with reports that apple cider vinegar could be the answer to all of our weight-loss woes. Let's break down the facts. 1. Consuming about a tablespoon of apple cider vinegar before a meal blocks your body from digesting starch, helping to control blood sugar and resulting in weight loss. 2. The pectin (a source of dietary fiber) found in apple cider vinegar is known to help you feel full and suppress your appetite. 3. It helps digestion, because it’s rich in enzymes that help your body break down food. Too Good to Not Try or Too Good to be True? The research consensus seems to be that while adding a bit of apple cider vinegar to your diet might help you lose a pound or so over a period of months, it's not going to magically melt away the pounds. One of the few published studies that tested the idea that apple cider vinegar bolsters weight loss found that consuming a bit of the vinegar every day for three months resulted in a 1- to 2-pound total loss (versus a control group that consumed water instead and lost no weight); all the participants were obese, but otherwise healthy. There have been quite a few studies, however, showing that apple cider vinegar does have benefits for those with diabetes. Researchers found that it lowered blood sugar levels, which is a useful therapy for people with diabetes. If you want to try the water-with-vinegar trick before a meal, go for it. Whether or not the vinegar itself directly results in weight loss, this might get you into the habit of consuming water before a meal. And that can be good for weight loss, since it helps take the edge off your hunger. Plus, it's common for people to think they're hungry when they're really just dehydrated. So, the extra water before a meal can help regulate your hunger, prevent you from overeating, and ultimately result in weight loss. Just make sure to dilute that tablespoon of vinegar in least 16 ounces of water — apple cider vinegar is very acidic, and consuming it straight could harm your tooth enamel and esophagus. If you’re planning to start consuming apple cider vinegar on the regular, it's probably a good idea to run it by your doctor. Another way apple cider vinegar can be good for weight loss? It adds flavor to food while adding very few calories. 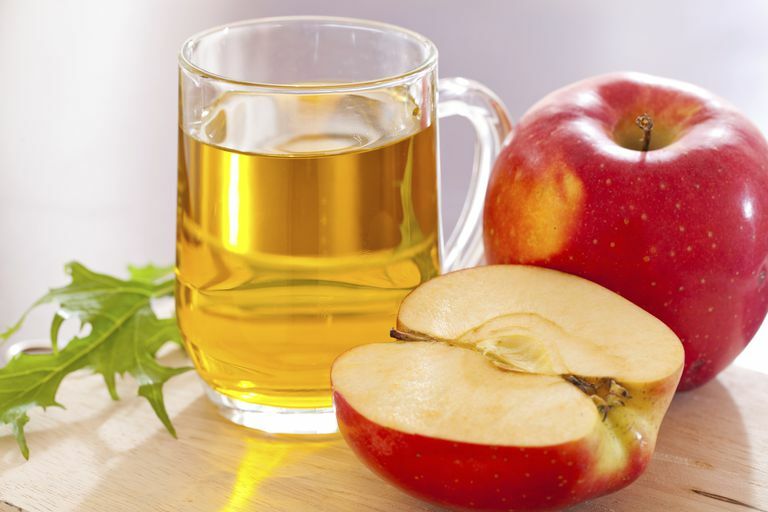 Each tablespoon of apple cider vinegar has just about 3 calories and nothing else. One product people swear by is Bragg Organic Raw Apple Cider Vinegar. It looks murkier than others, which researchers say is evidence that nutrients and enzymes haven’t been diluted through processing. Use it in place of dressing on your salads. Unlike some other types of vinegar, apple cider vinegar has a hint of sweetness, thanks to the apples. It's also good in sandwich wraps. If you want to doctor it up as a salad-dressing swap, mix it with a small amount of pomegranate juice, a bit of olive oil, minced garlic, and salt and pepper. But one of my all-time favorite ways to use apple cider vinegar is in DIY barbecue sauce. Just mix two teaspoons of the vinegar with 1/4 cup canned tomato sauce, two tablespoons of ketchup, two teaspoons of brown sugar, and a tiny bit of garlic powder. For guilt-free recipes, food finds, tips 'n tricks, and more, sign up for free daily emails ​or visit Hungry Girl! Is There a Shortcut to Weight Loss? Could an Apple a Day Keep the...Weight Away? Can Probiotics Help You Trim Excess Pounds? Is There a Link Between Chia Seeds and Weight Loss? Can Adding Chocolate to Your Diet Aid in Weight Loss?